When you think about romantic places and cities, Tokyo might not be the first one that pops into your head. It is a busy, sprawling metropolis, and it doesn’t seem like people here have too much time for love. You can bet you will not have your romantic moment in a crowded train while commuting to work. That’s why it might be surprising to some to find out that there are many nice and romantic spots in Tokyo. Whether you are moving to Japan for work or to find love, read these article to find out which places you can visit with the people you care for. They are sure to make you breathless. There is nothing better than taking a stroll with the person you love through beautiful paths. Getting lost in the conversation as well as the Meiji Jingu Gaien is an unforgettable experience. Even though people don’t often talk about it as they do with its famous cousins – Yoyogi Park in the west, Shinjuku Park neighboring it to the north and the Imperial Palace far away in the east, the gardens are well worth a visit. There are long entrance paths with gingko trees along – and you can then wander off into other places taking paths from the entrance. Finally, once your legs ache from the walking, you can take your date for a wonderful dinner at one of the restaurants around the place. Since there are multiple entrances, you can visit their website to see which one is the closest to the station you prefer. 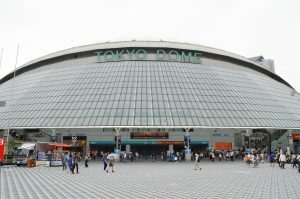 Tokyo Dome serves many purposes. If something with more lights, music, and action is your cup of tea, then take your date to the Tokyo Dome City. This place is where you can find all the fun! Take the Chuo line to the Suidobashi station, and then it’s just a short walk to this urban amusement park. First, you can see a game (this is the home to the Yomiuri Giants baseball club) or a concert, since many musicians perform here. And if these are not the activities you prefer on your romantic spots in Tokyo, there is still so much to do! Even when you are moving with family to Japan, this is a great place to visit! There’s food (various world’s cuisine!) and rides, as well as arcade games to try. And if you want to do something even more romantic, take your date to the TenQ Planetarium. Here you can wake up your inner kid and enjoy the stars above your heads. To get to the park, you can also take the Mita subway line to get off right at the entrance of the park. The back entrance is by the Korakuen station. For more information, you can visit their website. If the buzz of the big city is too much for you, you can visit Daikanyama. This trendy neighborhood is secluded away from Shibuya, and many great romantic spots in Tokyo can be found here. Even though it’s not on a cheap side, the meals here are extraordinary. There are Italian restaurants (like Ristorante Aso), Spanish sky lounges (like Hacienda del Cielo) and so much more! Also, a short walk from Daikanyama station, there is Tsutaya. This might be a bit queer, but a date in this bookstore is quite unique. The top floor is just breathtaking. To get here, you can take the Tokyu Toyoko line from Shibuya station. A quick ride (and one stop) later, you will arrive at the destination. Tokyo Tower is among the breathtaking romantic spots in Tokyo. Finally, what list of romantic spots in Tokyo can go without a place that completely changes your view of the world? 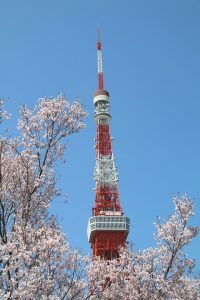 And is there a better place on the list that Tokyo Tower? Truth be told, the place attracts quite a lot of tourists. However, that should not stop you from spending an enjoyable evening there! Even though Tokyo Tower is smaller than the Sky Tree, many people argue that the views of Tokyo are better here. This may be because it is closer to the center of the city. But the sights aren’t the only thing to behold. At the bottom of the tower, there are shops and restaurants for you to dine in, and then there is a fine jazz lounge at the very top. Also, just a short walk from it is Shiba Keon, where you can see the famous Zojo-Ji Temple. To get to the Tokyo Tower, you can take a couple of lines from Tokyo Station. Either jump on the JR Yamanote or Keihin-Tohoku line south to Hamamutsucho. From these two, you will be able to see the tower itself. Then, it will be easy to take a short stroll through the city to get to it. Otherwise, you can transfer to the Oedo line and get off at Akabanebashi’s main exit. However, keep in mind that for this, you need to exit Hamatsucho station. After that, enter Daimon station on the street level. 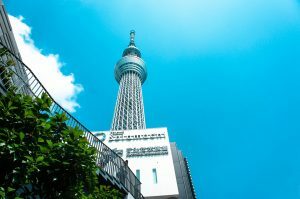 Another place that will literally take you to cloud nine is the Sky Tree. The Sky Tree might be a bit further from the city center than the previous entry on our list. However, the mere size of it makes up for this fact. Just to give you a clear picture – it is so large there is a special station for it. And if you and your date decide to skip visiting the very top of it, there are so many things to do nearby. Also, Asakusa is just one stop away from here, so you can always jump there, too. Sky Tree is staggeringly big. To get to the Sky Tree, take the Tokyo Metro Ginza Line at Ueno Station. Then, transfer to the TOBY SKYTREE Line at Asakusa Station. Of course, these are not the only romantic spots in Tokyo. The city is huge – and international movers Japan work every day to bring even more people here from all over the world. We leave it to you to explore the city more and find out your favorite place to visit and have fun at.